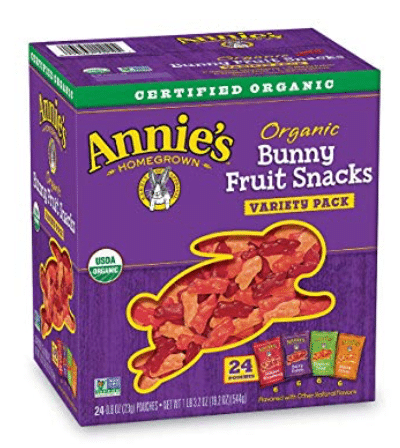 Amazon has a great deal on Annie’s organic bunny fruit snacks! As low as $11.19 after coupon and 15% S&S, so just $.46 a pouch! A 12 ct. package of these same organic fruit snacks sells for $8.24 at Walmart ($16.48 for 24), so this is a great price!